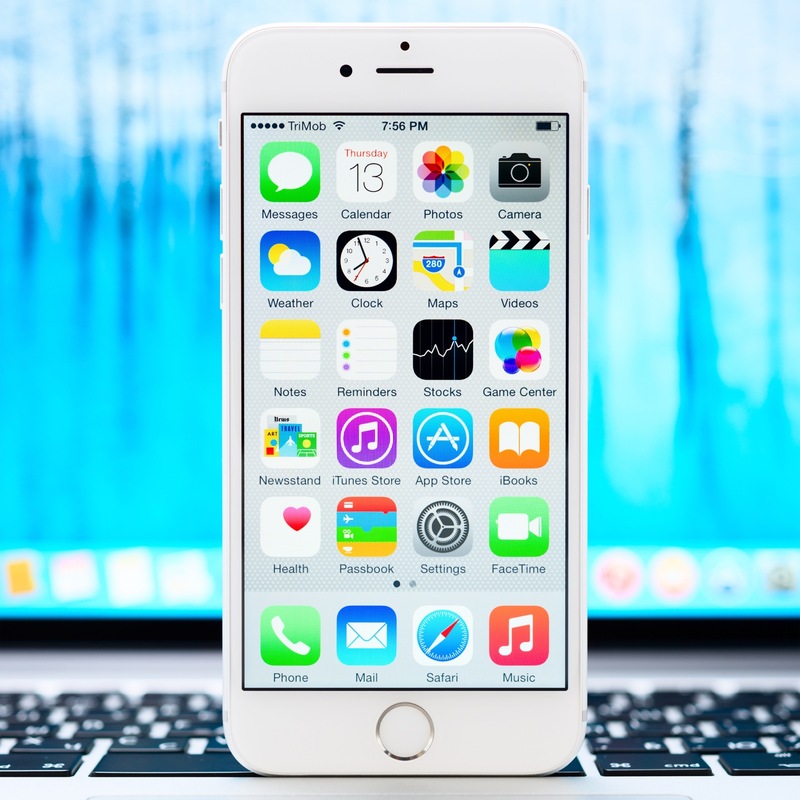 There is a bit of hope for users who want to permanently banish stock apps from their iPhone or iPad. According to a post on Reddit (via Cult of Mac) Apple is officially allowing, starting with iOS 9.3, a number of stock apps – like Tips, Stocks, Reminders, and more – to be hidden from a device. The bad news is you probably won’t be able to do it. It requires using Apple Configurator 2.2 beta. If you don’t know, that software is only available to the business and education markets for mass configuration of iOS devices. 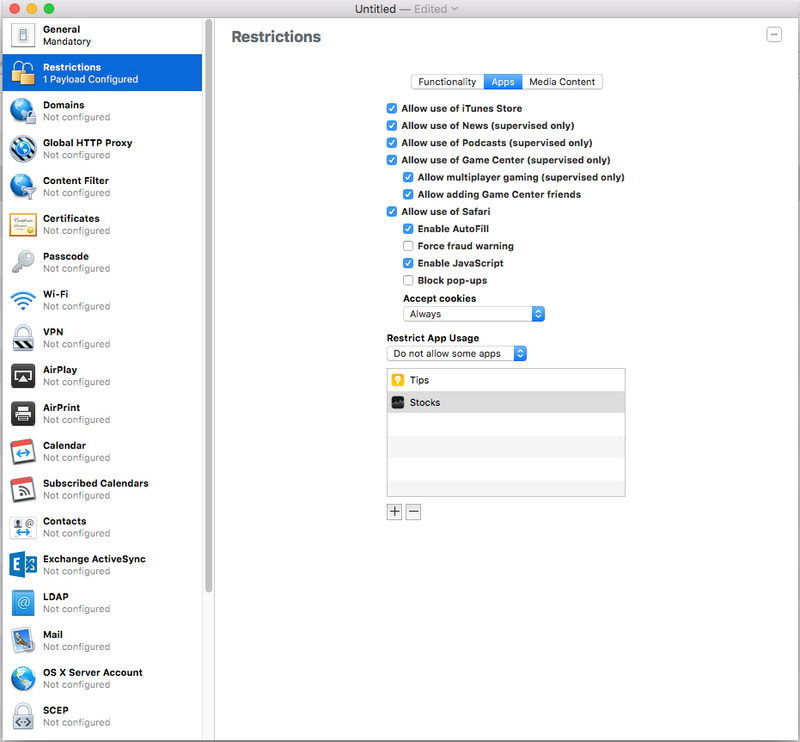 Hiding stock apps in Apple Configurator 2.2 beta. 9.3 adds the ability to hide applications on the home screen based on the bundle ID. Create a configuration profile in Apple Configurator 2.2 Beta with a restrictions payload set to “Do not allow some apps” under “Restrict App Usage” in the Apps section of the Restrictions. 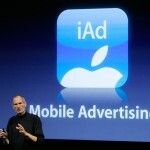 Add the necessary bundle IDs like com.apple.tips, com.apple.stocks, then plug in your device and apply the profile. The icons will simply disappear from the home screen. The first beta version of iOS 9.3 was seeded to registered developers on Monday. There’s no official timetable when the software will arrive to the public. Here’s our rundown of all the changes in the new version. This latest news is a fairly strong sign that Apple may allow all users to hide stock apps possibly with iOS 10, which should be unveiled this summer at WWDC and arrive sometime in the fall. In a September interview, Apple CEO Tim Cook did hint that users might be able to eventually hide or delete some stock apps. I’ve never had an issue with the number of stock apps installed on the iPhone or iPad – I throw them in a specific folder and never think about them again. But the number of pre-installed apps has definitely increased lately, especially with both the Podcasts and Apple Watch apps. If you can’t wait to hide certain apps, our own Joe White earlier this month detailed a jailbreak free method to accomplish that goal. It’s not permanent as the icons will reappear each time you restart the device. But it’s better than nothing.